Research shows that in this industry, budgets for digital campaigns are increasing each year significantly. One such study was conducted by Ascend2, whose findings suggest that as much as 93 percent of companies have increased their digital marketing budget in 2018. FMCG giants such as Procter & Gamble, Johnson & Johnson, Unilever, Colgate, and Kimberly Clark can see the importance of digital transformation, but at the same time, they are too big for quick and easy crossing from traditional media to digital. 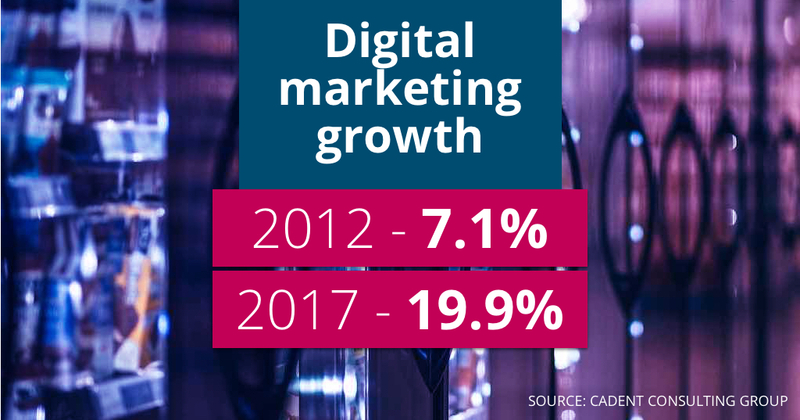 The transfer is slow, but we can see that they are investing in digital part of marketing, as demonstrated by the Cadent Consulting Group survey. According to their data, the increase in budgets is noticeable, from 7.1 percent in 2012 to 19.9 percent in 2017 with the tendency of continuing growth. Due to these investments budgets for Trade promotion and Traditional marketing are decreasing. The total budget for marketing FMCG industry is around 225 billion dollars, according to the research, from which the digital part gets more and more each year. However, digital marketing still doesn’t have good results as the rest of the marketing department. Only 60% of 200 surveyed retailers believe that digital marketing is benefiting brands. In this manner, out of 300 surveyed customers, only 14 percent point out that they have noticed branded digital ads, and they have influenced only 10 percent. This is an indicator of how much transformation and adaptation is essential. The digital world is more complicated, faster and more demanding than traditional media and advertising. The user at the same time wants information and entertainment, an offer that will appear at the right moment and will be easy for the transaction. An excellent example came from Clorox, who based their digital strategy on the following ROI. Their eCommerce investments have led to a doubling of product sales over the past three years, and the next doubling expected in the same period. 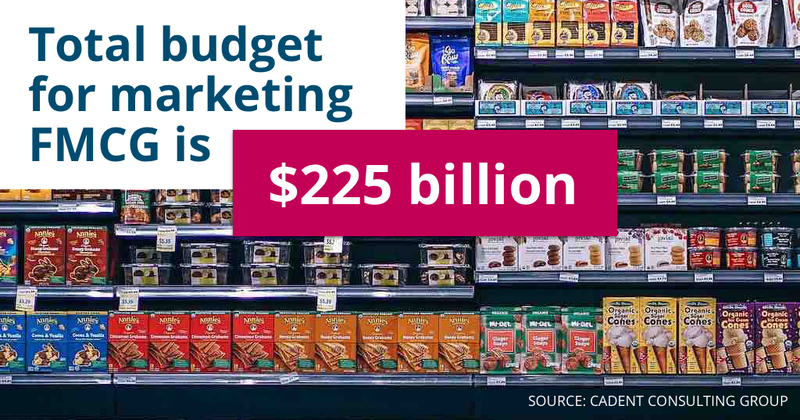 Another survey, conducted by Gartner CMO, shows that in the FMCG industry, the highest allocation for marketing is from the overall budget, as much as 24% (the next industry is Consumer Services with 15%). As companies that rely heavily on marketing to develop business, it is very important to find new ways to communicate to potential consumers. The trend in the growth of the digital marketing budget continues in 2018 despite the lower efficiency compared to other marketing branches. The desire of FMCG companies to place themselves better on digital platforms is obvious, but realization is absent in many cases. It is crucial to have a similar attitude when big companies start implementing change and develop strategies. Cycles in the digital world are much shorter, and the competition is more efficient than in traditional marketing. It is therefore vital to find the right partners and focus on the key things that can bring benefits for the further development of company’s digital life.